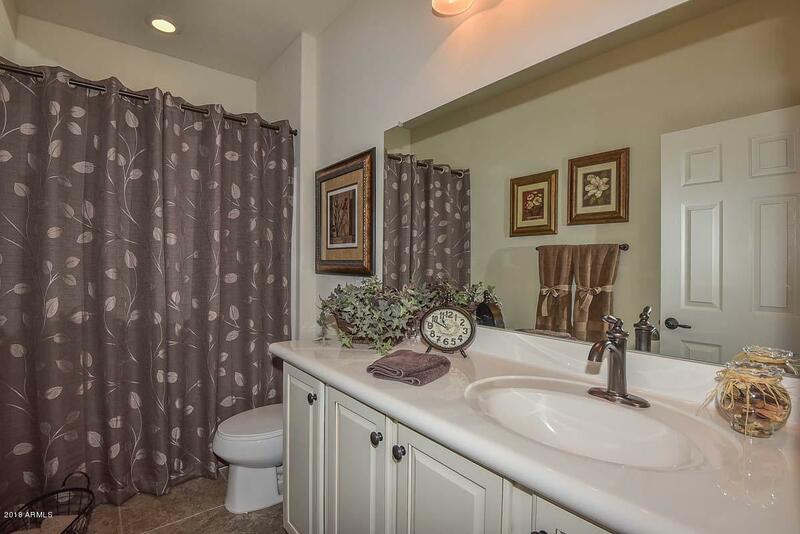 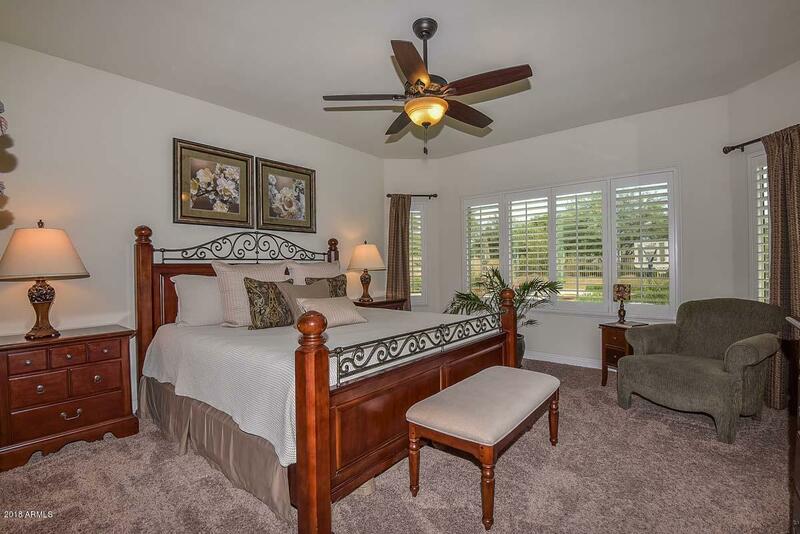 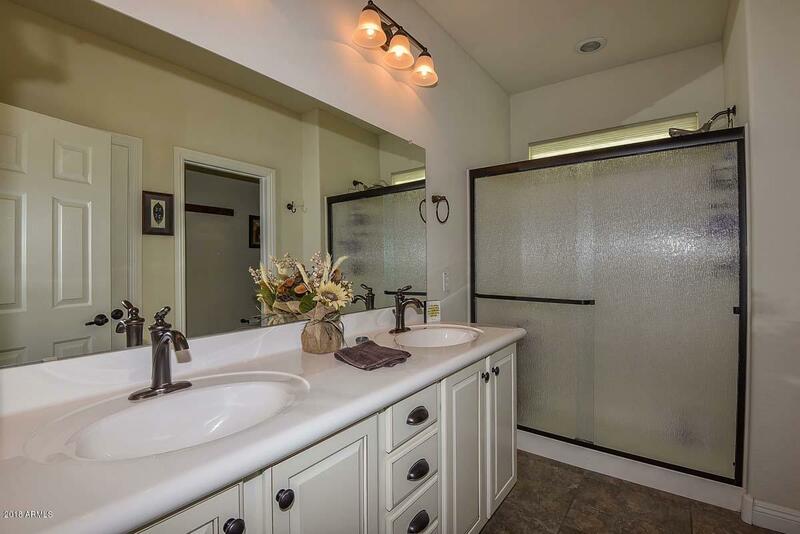 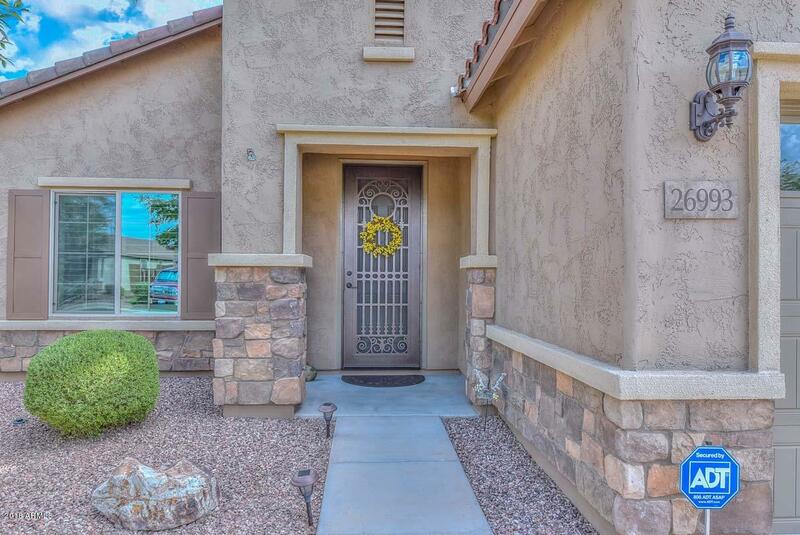 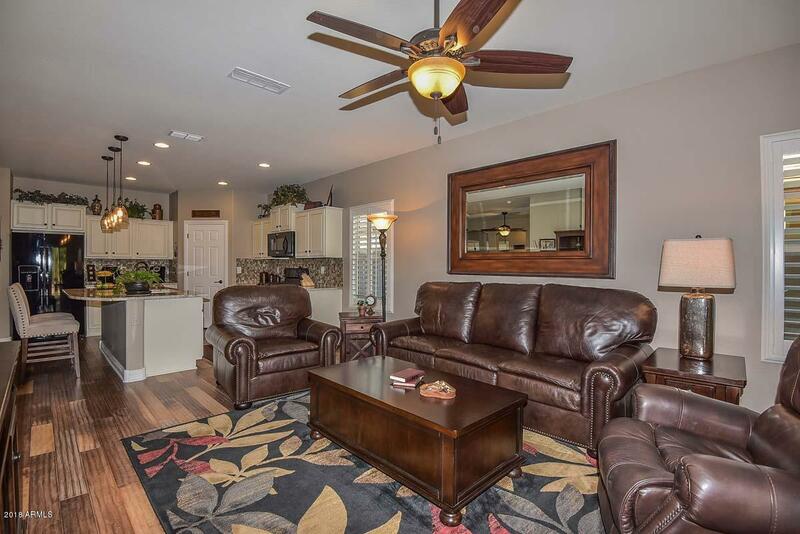 Beautiful and Meticulously maintained!! 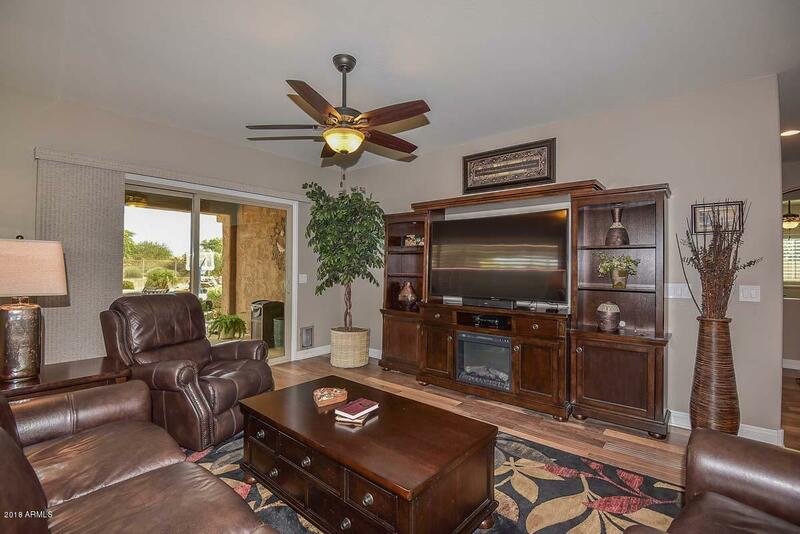 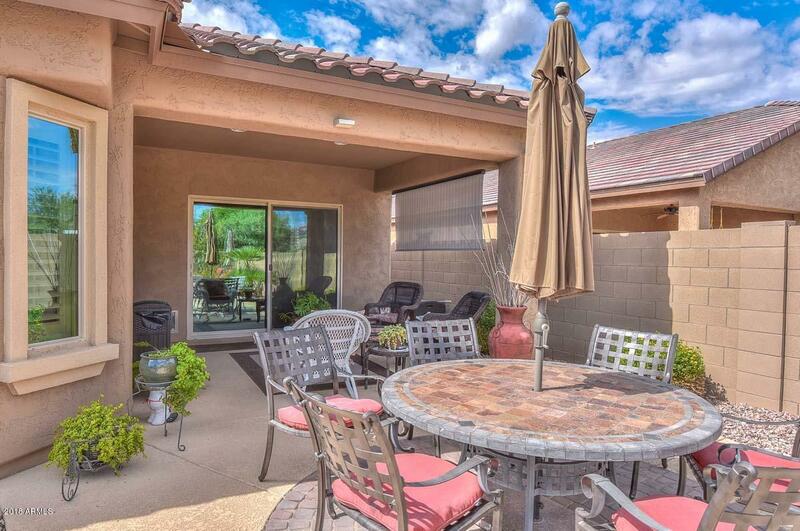 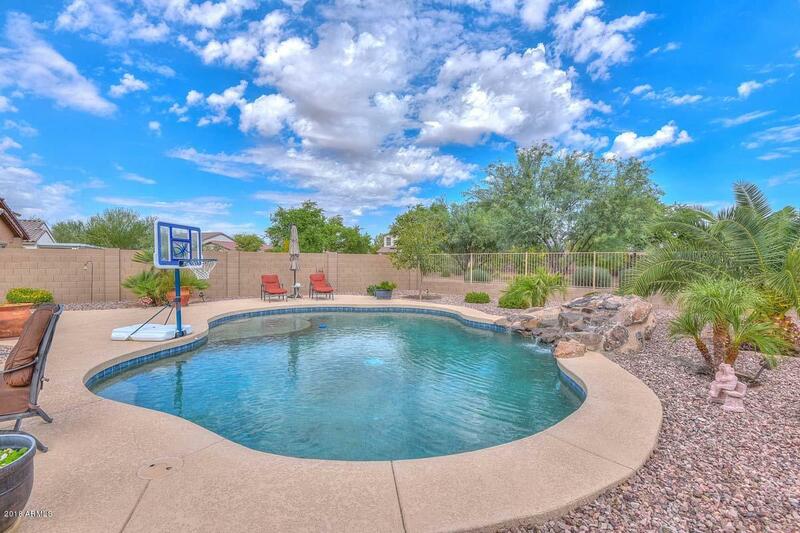 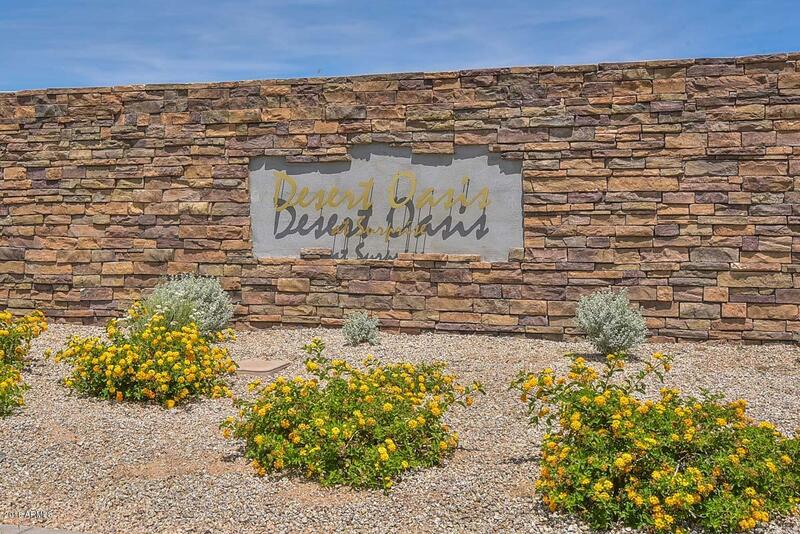 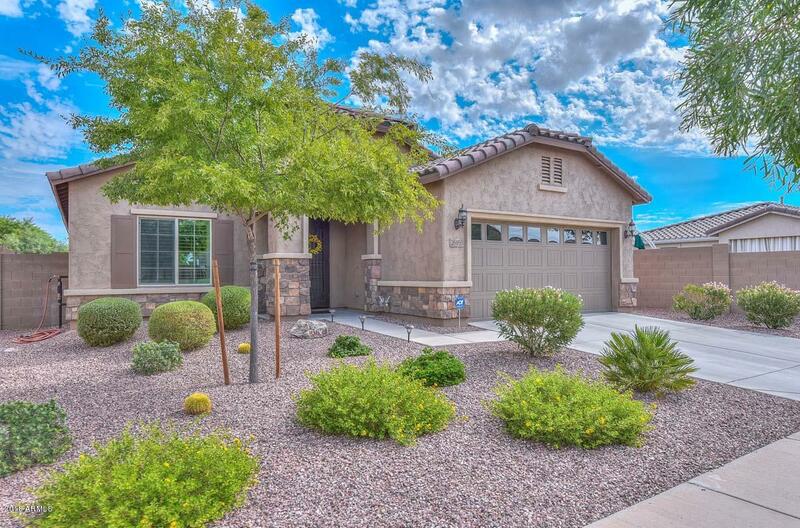 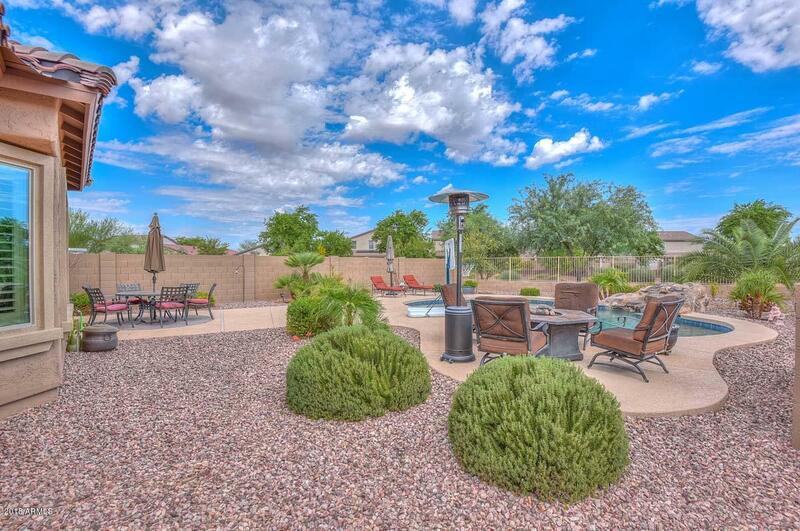 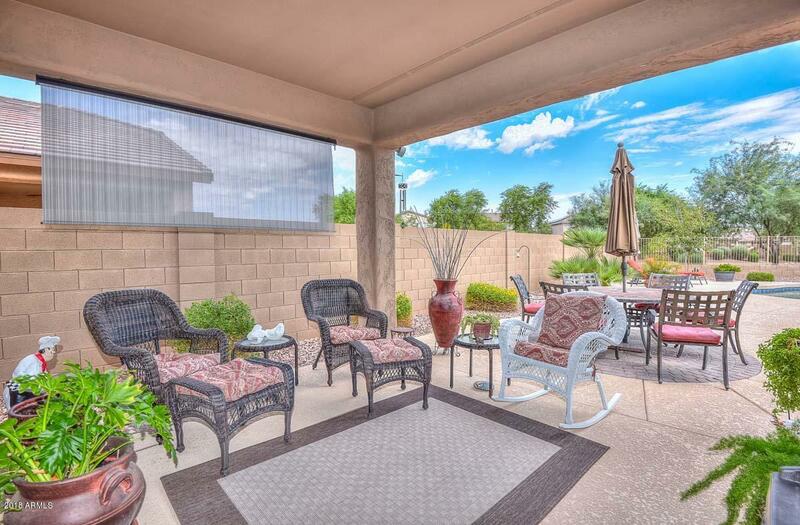 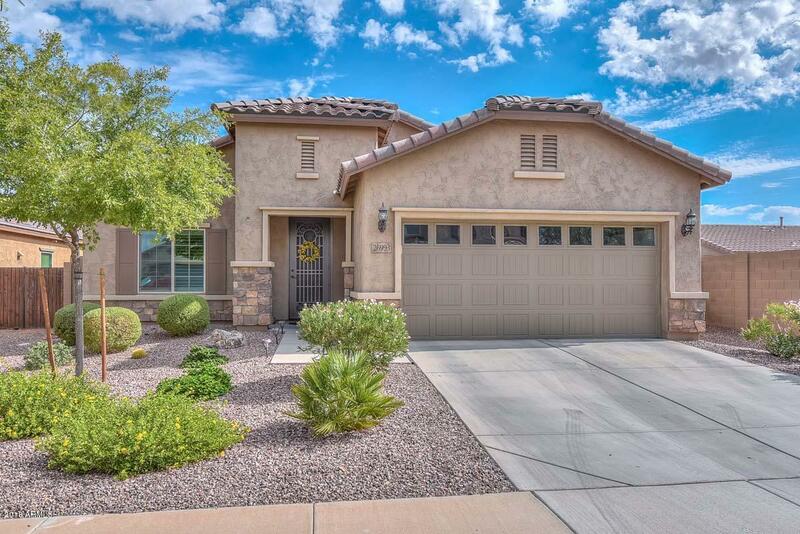 Single level home with gorgeous custom pool, landscaping and views. 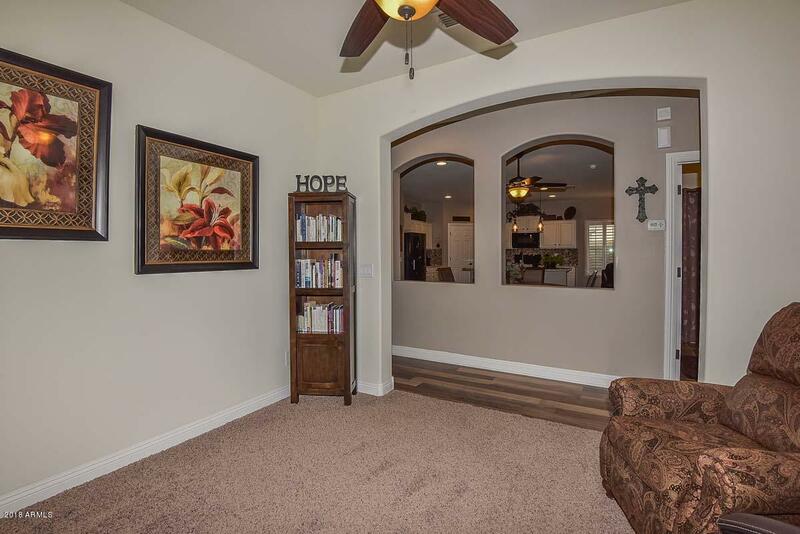 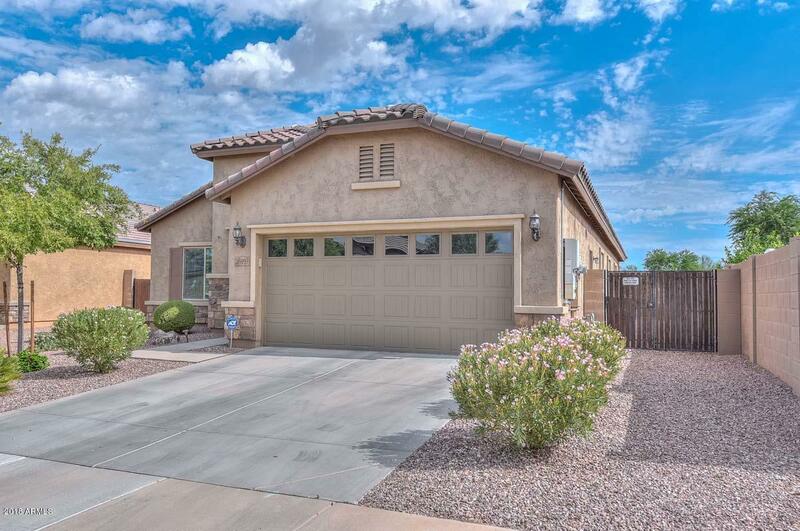 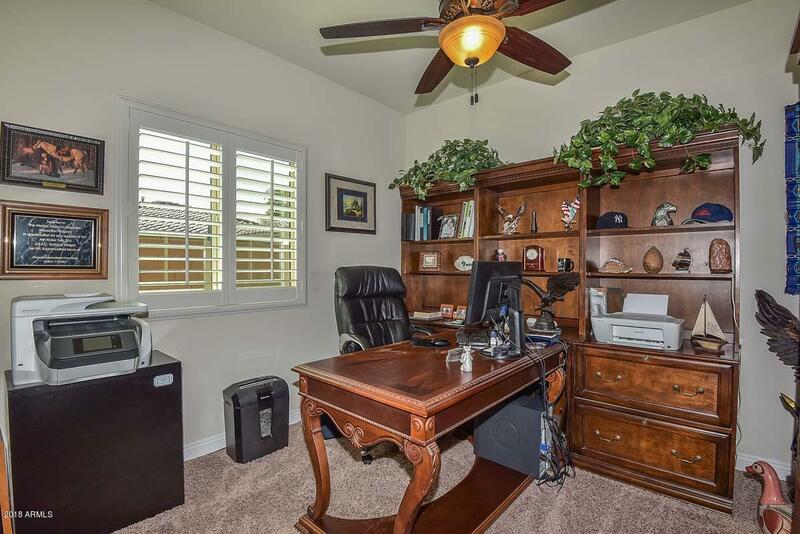 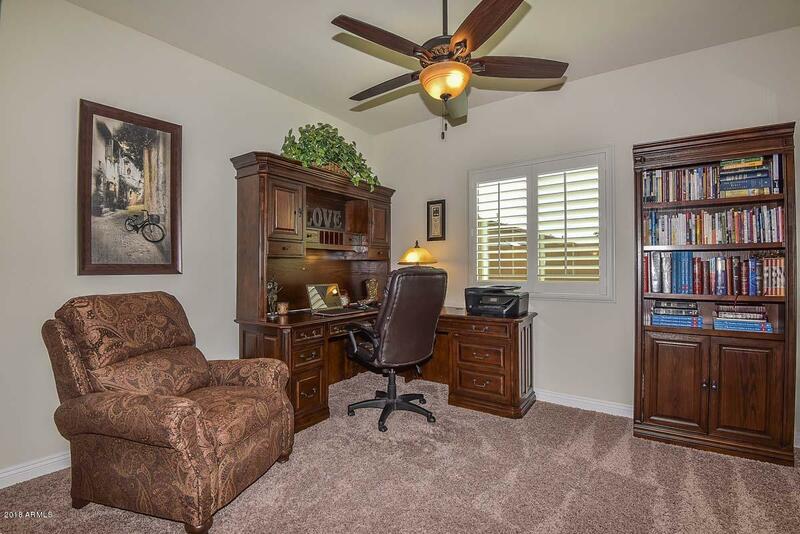 3 bdrms, 1.75 baths, 2 car garage, Office/LR, Den, and Great Room. 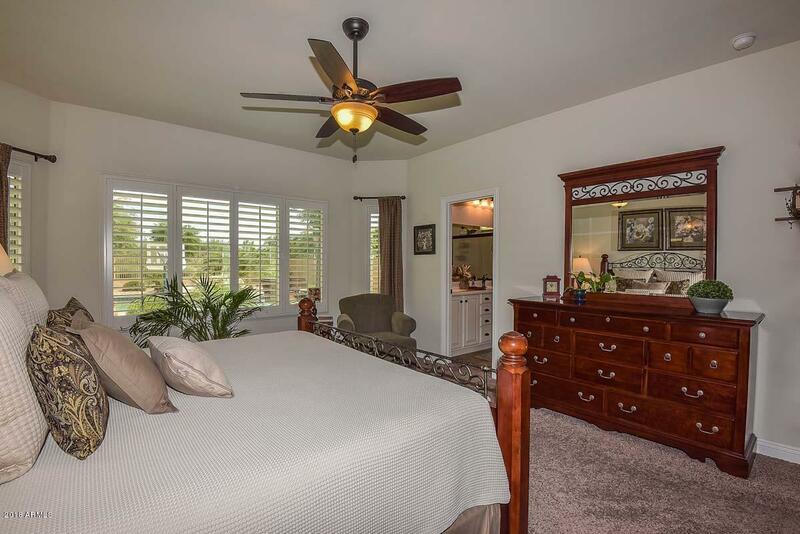 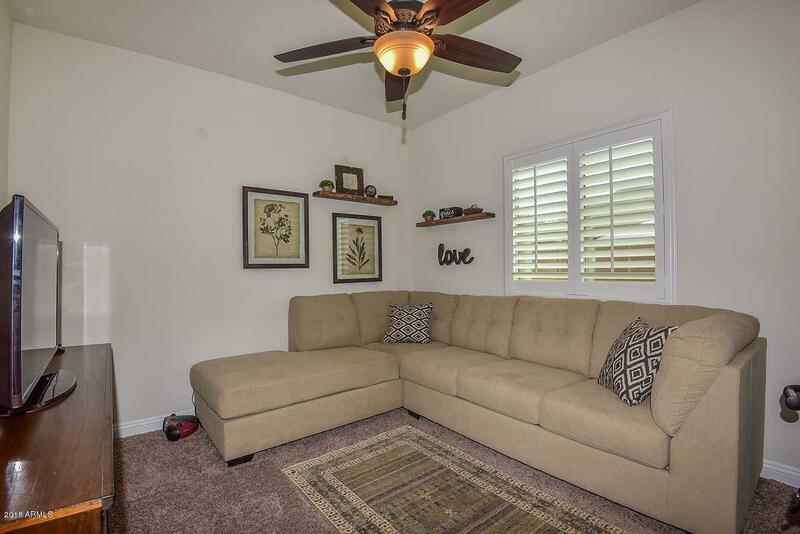 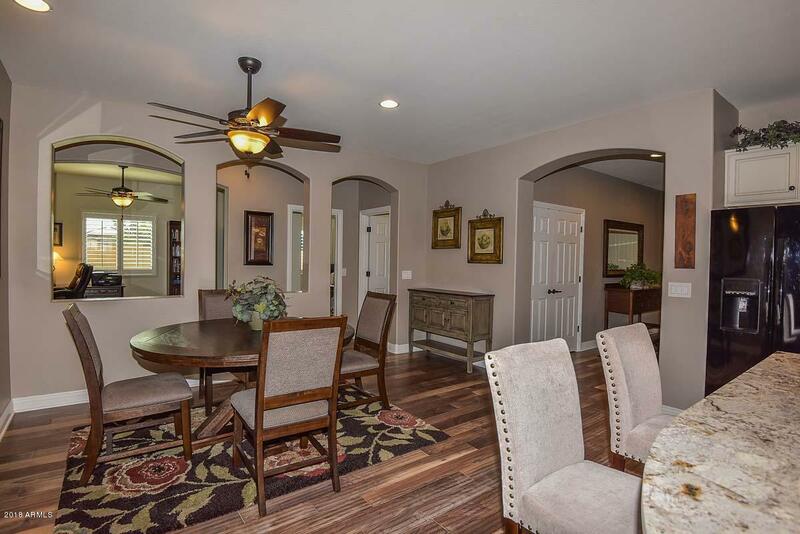 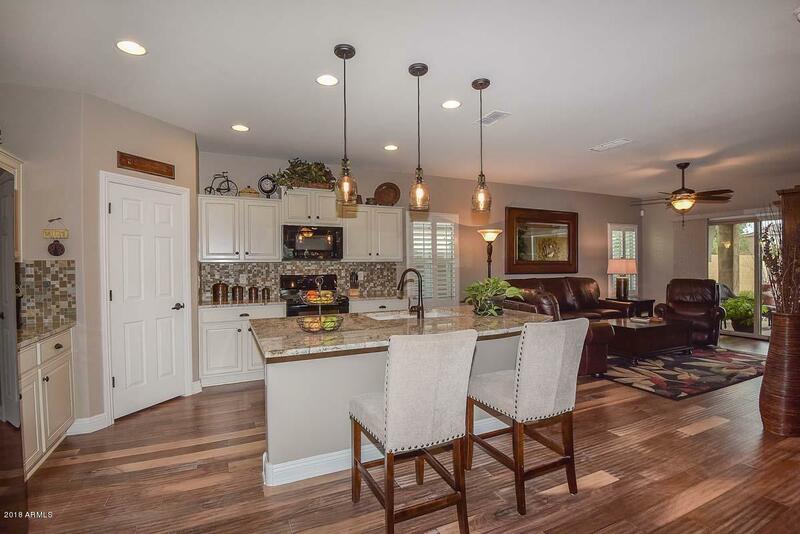 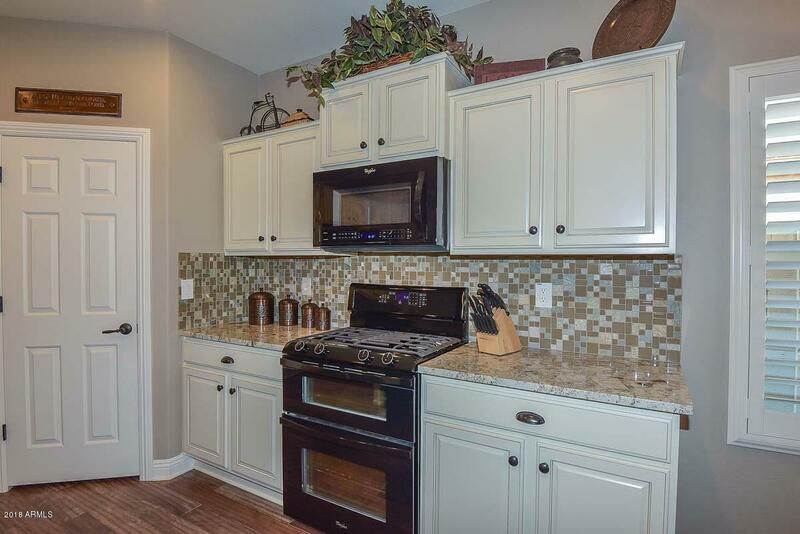 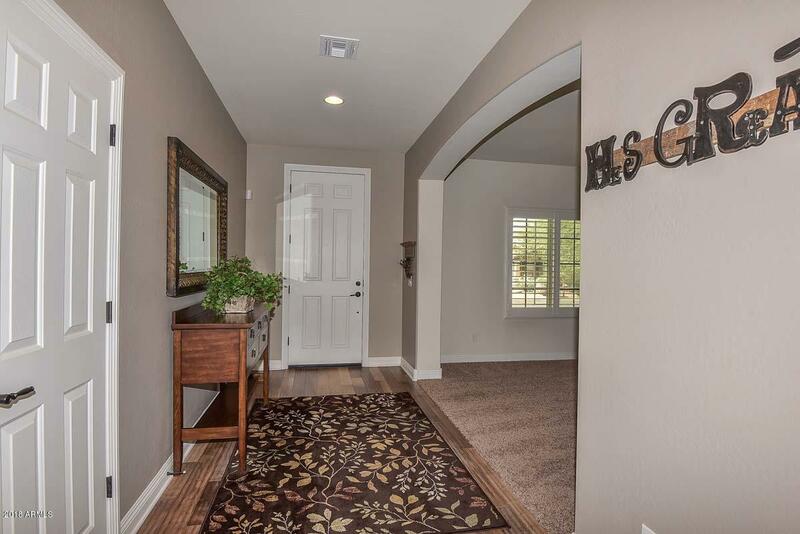 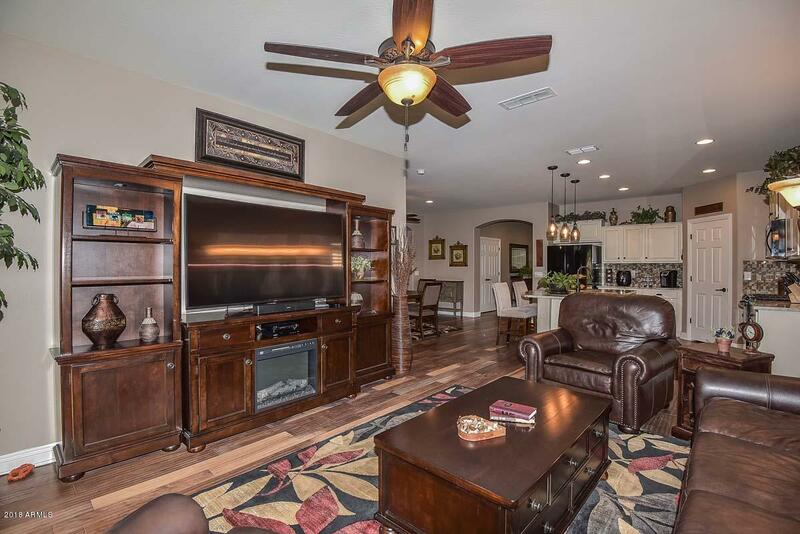 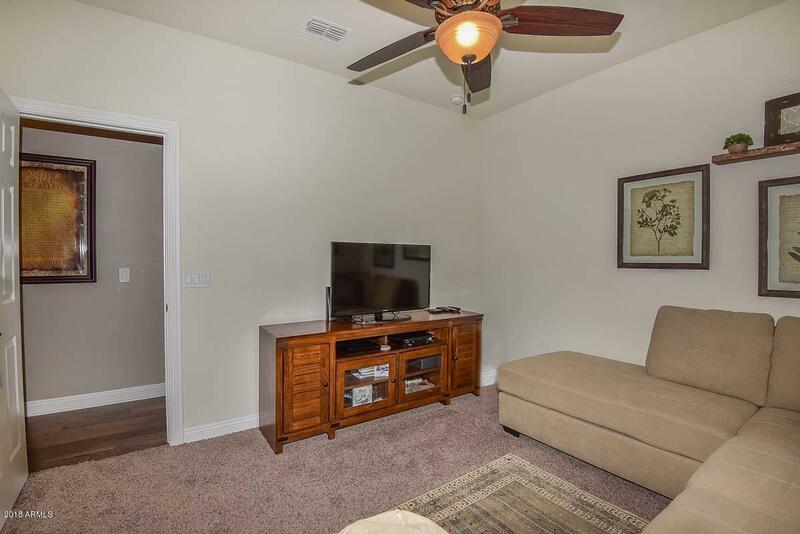 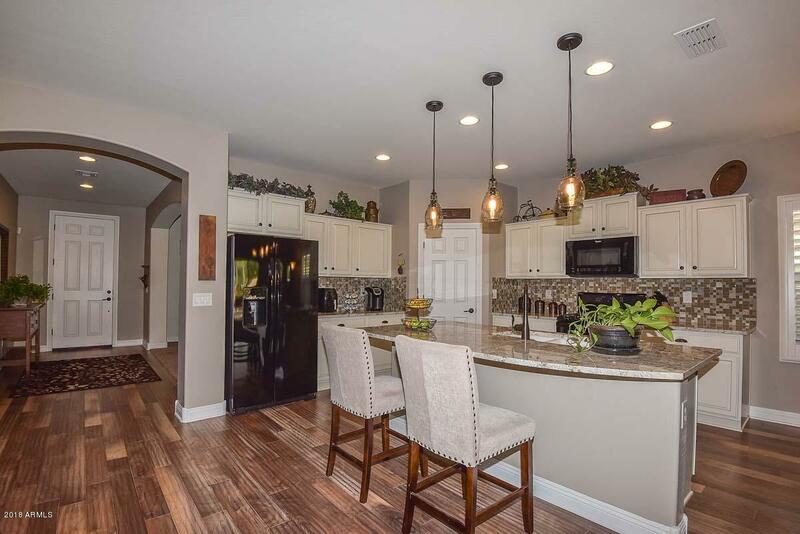 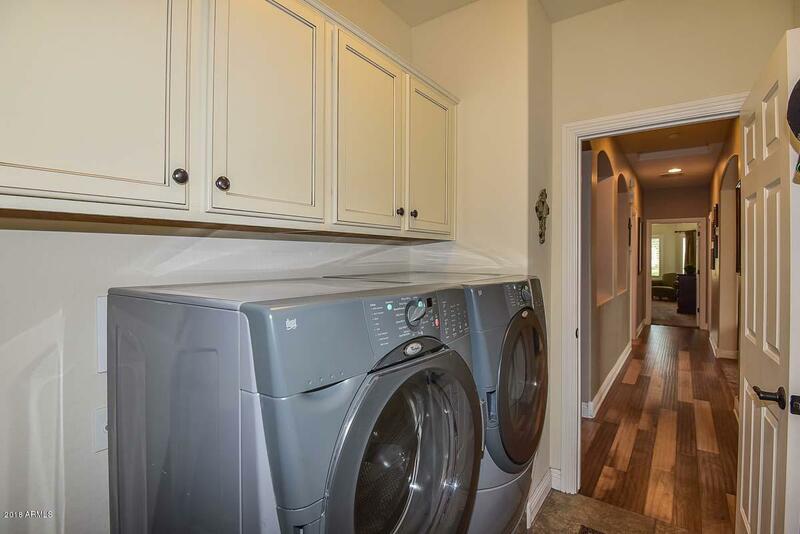 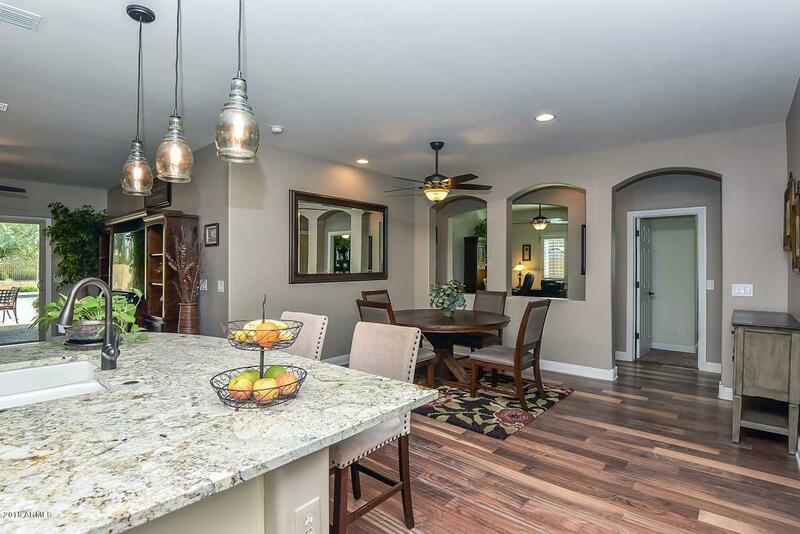 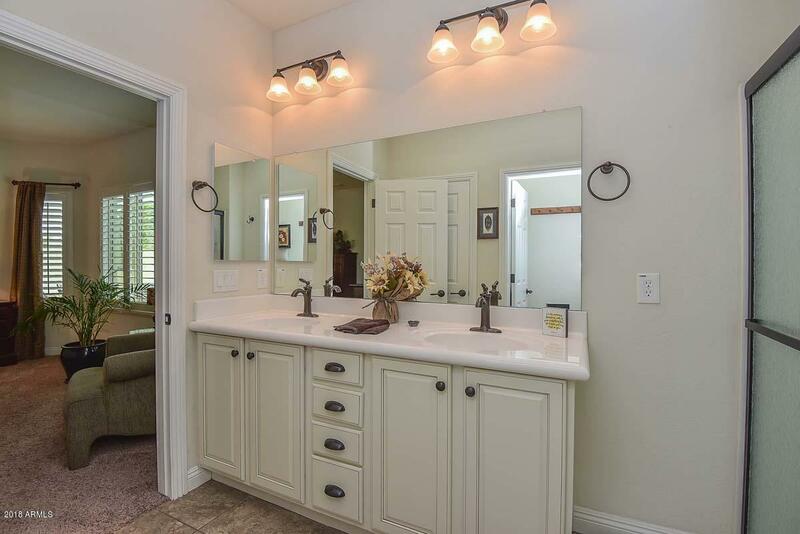 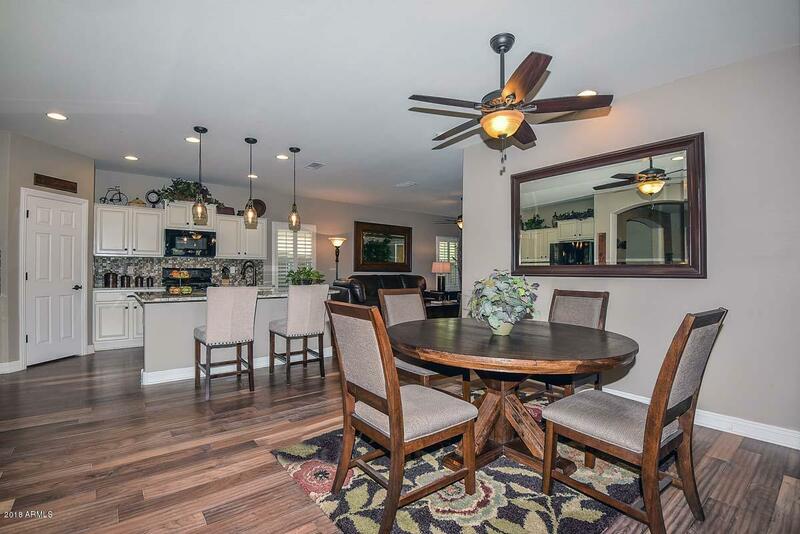 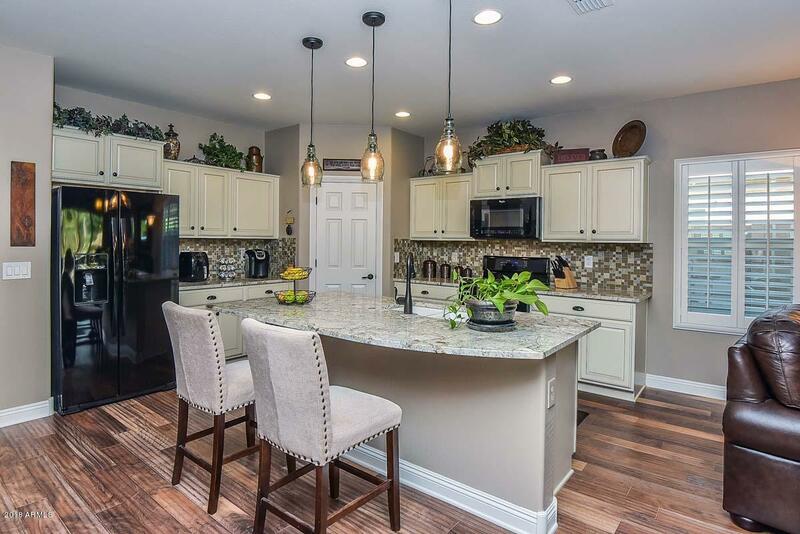 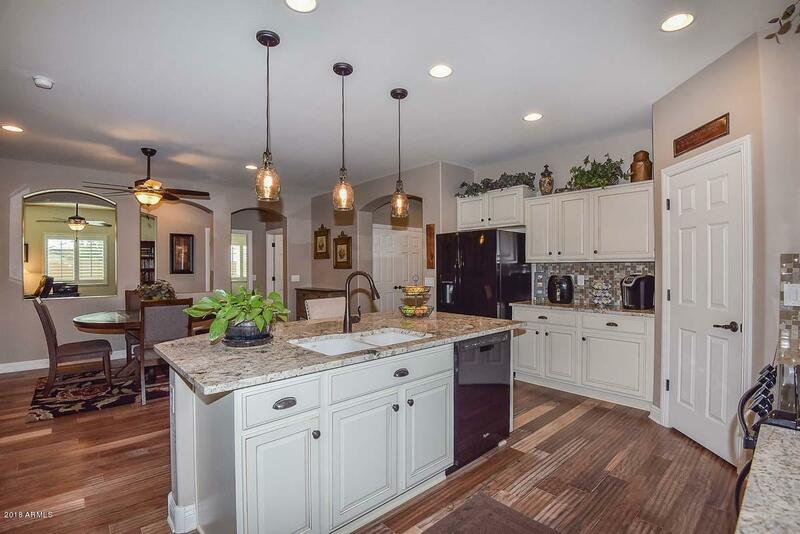 Some extras include ivory cabinets with bronze hardware throughout, granite counters and glass/ stone backsplash, gas range, high/low kitchen sink, pull outs, gas BBQ stub, bay window, walk in master bath shower, shutters, hard wood flooring and carpets. 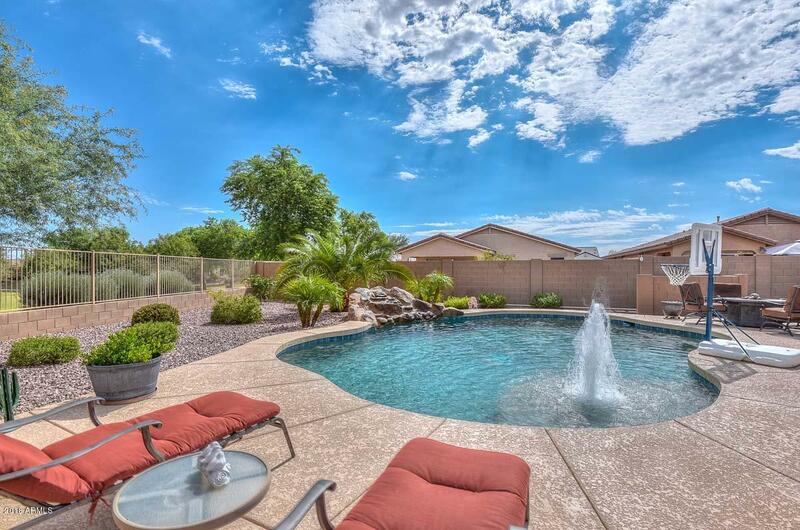 Beautiful pebble tech pool with water fall and many extras on the pool equipment. 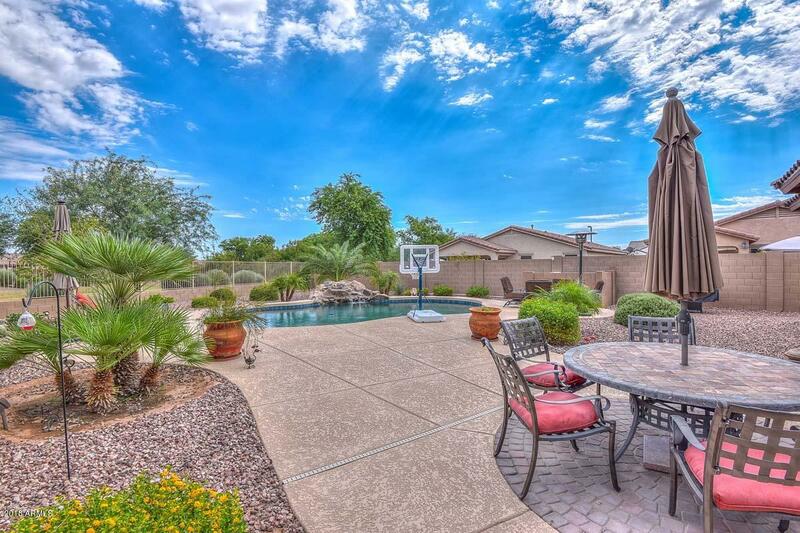 $50K in backyard alone. 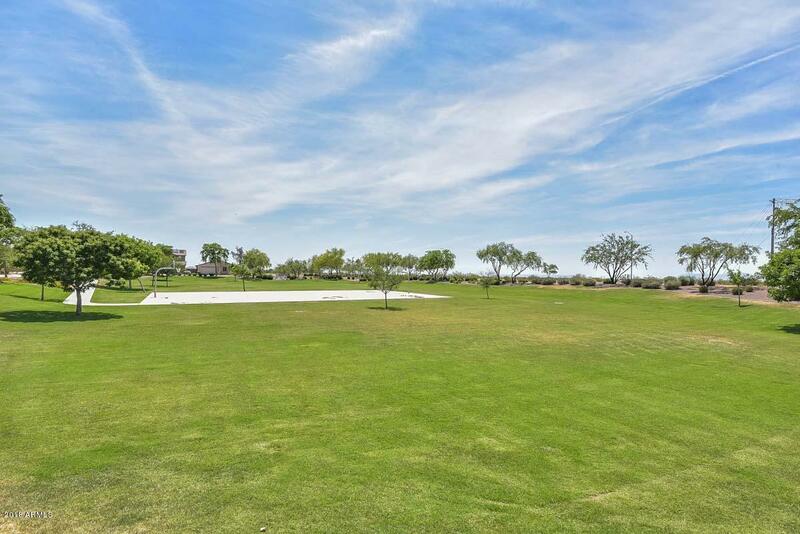 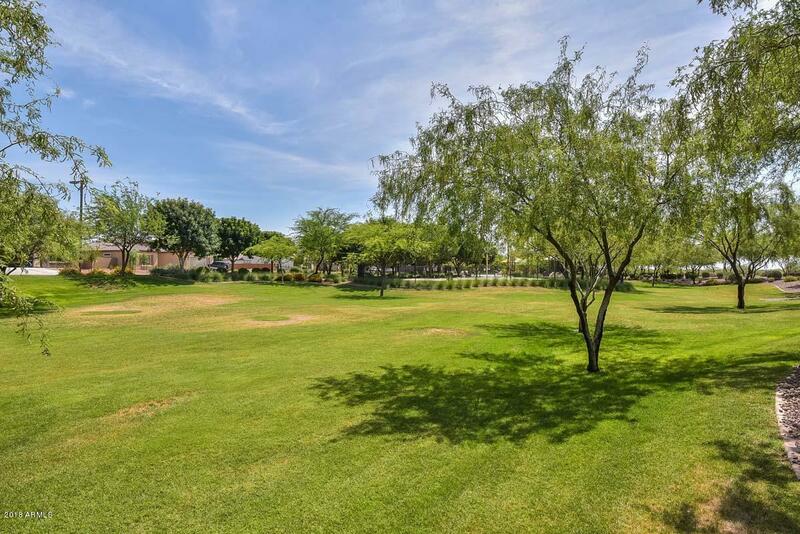 The views of the greenbelt make the yard open and extensive. 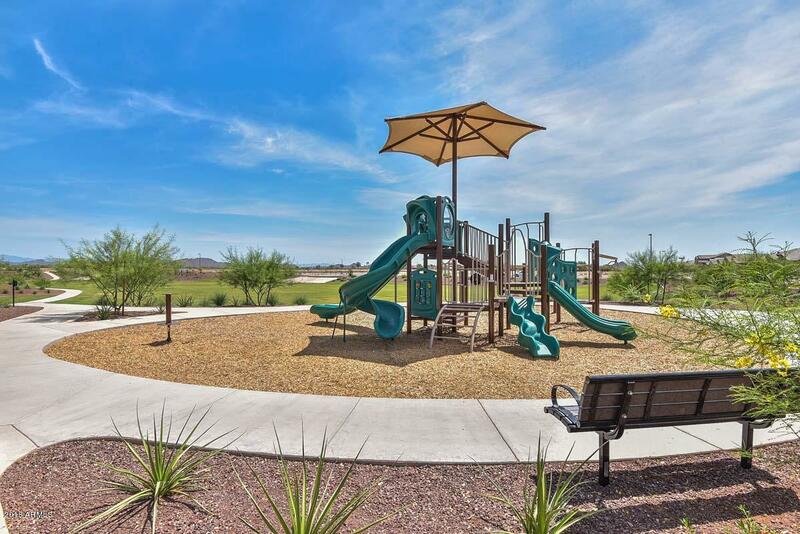 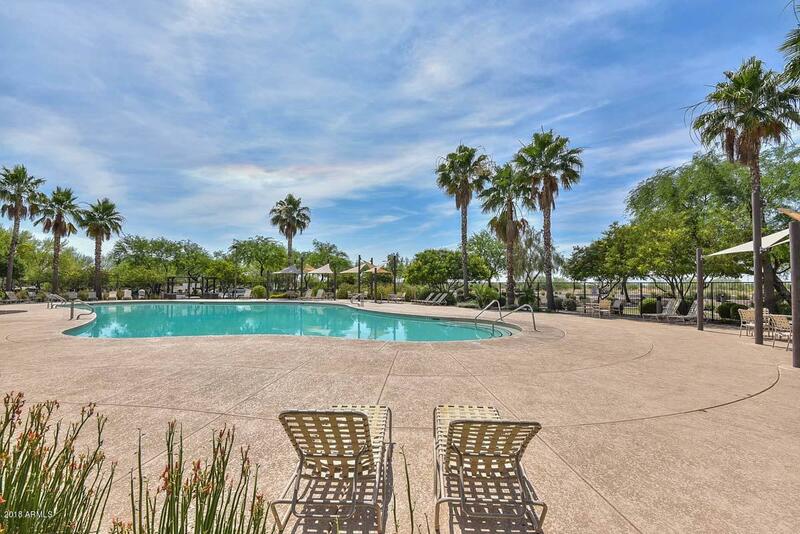 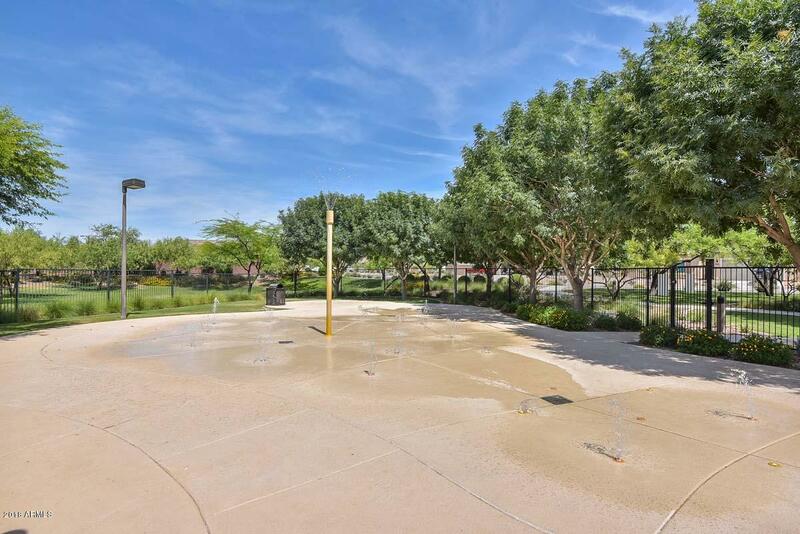 The community features a pool, splash pad for kids, play areas and lots of areas to hike, walk or ride your bikes both motorized and not. 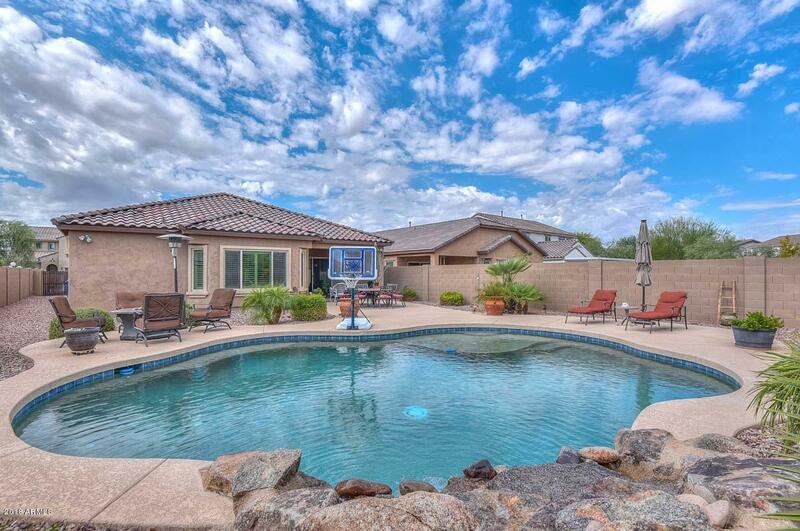 Lake Pleasant 30 min away. 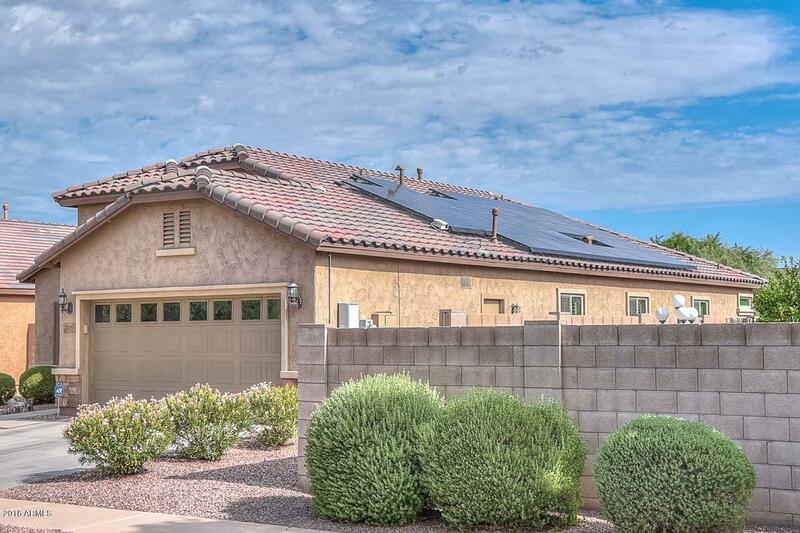 Home has solar panels as well.